(map) The cronut madness sweeping New York City reaches Austin! 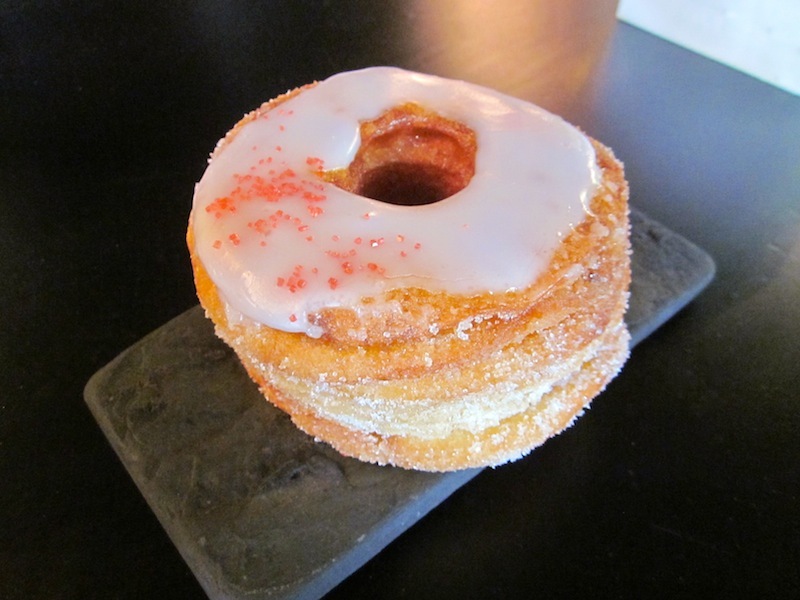 Chef Cesidio at Artisan has perfected his own version of the croissant/donut hybrid, dubbed the “crognet” for trademark reasons. It goes on sale today at 10 am. The name blends”croissant” and “beignet,” and is pronounced “crow-nyay.” The dough is an amped-up version of croissant dough, layered with butter, then deep-fried, sprinkled with sugar, glazed and filled with a light vanilla cream. Heaven! $5 each. There will only be 100 made on this first day, so get ’em while they’re hot.